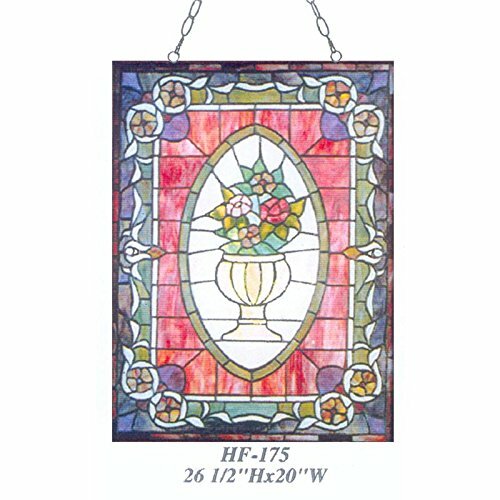 DESIGN GWEAT STAINED GLASS PANEL - This handcrafted Tiffany stained glass window, exclusive to the Design Gweat brand, boasts folds, ripples, and other textures which are artistically added. If you have any questions about this product by Gweat Window Hanging, contact us by completing and submitting the form below. If you are looking for a specif part number, please include it with your message.